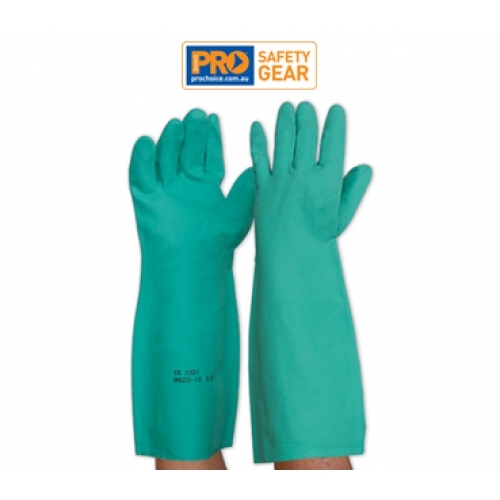 Premium grade nitrile for maximum abrasion and chemical resistance. Electrostatic lining technology prevents lining being shed and improves comfort. extured palm for enhanced grip. 45cm length for forearm proteciton.